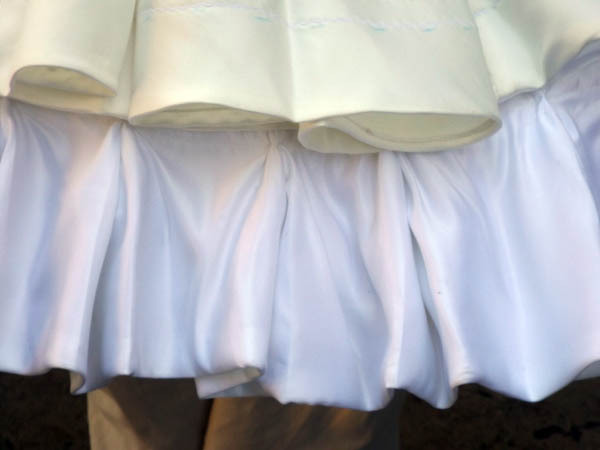 – a white skirt full of frills: it was really difficult to reproduce the same kind of frills, not flattened like most skirts. 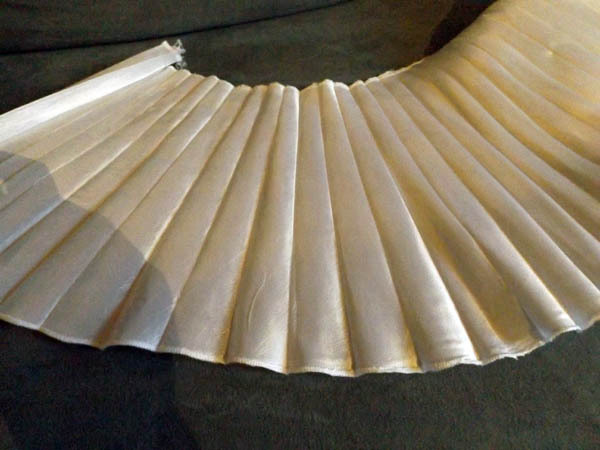 I used horsehair braid to add support and gathered the fabric to create the frills. I sewed each of them. 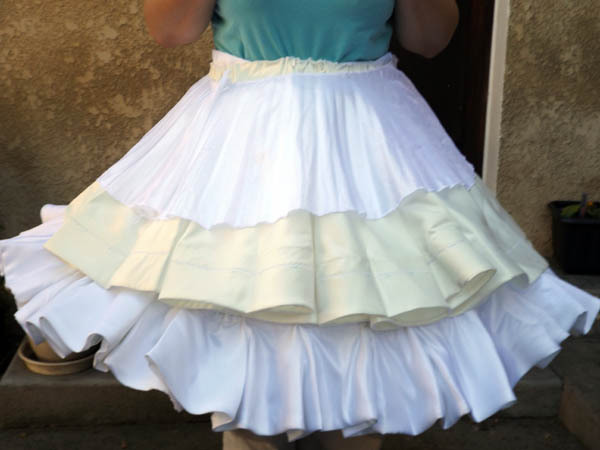 – a ruffled shorter white skirt: I rolled the fabric tightly and ironed it to create nice pleads. 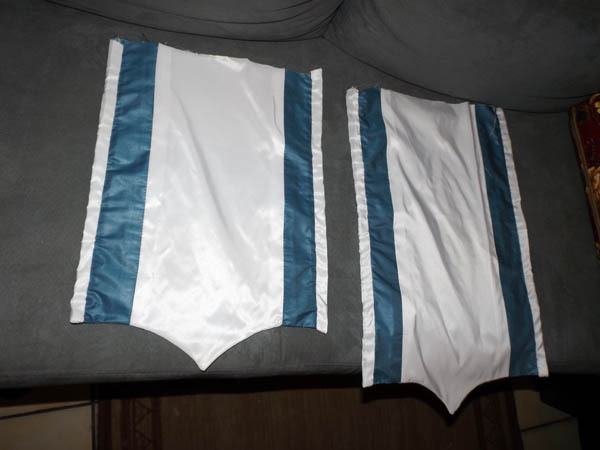 – a star shaped blue and white skirt: I failed the first one I made, I will have to remake the pattern. I have to sew the waistbands to those layers to truly end those skirts. 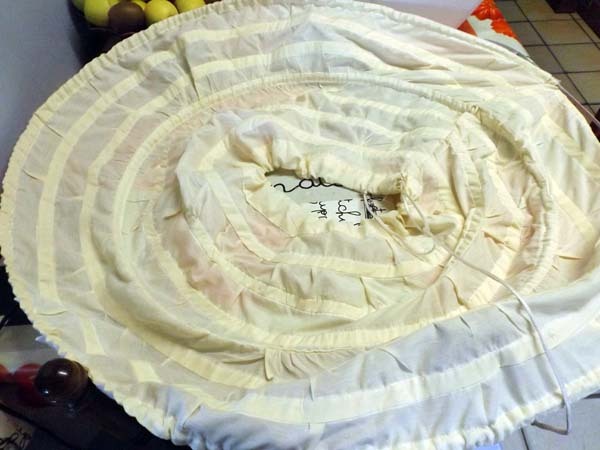 Here is the general result: none of the layers are properly fixed together, the petticoat lacks nearly all its steel bones, it was just a test for the photo. 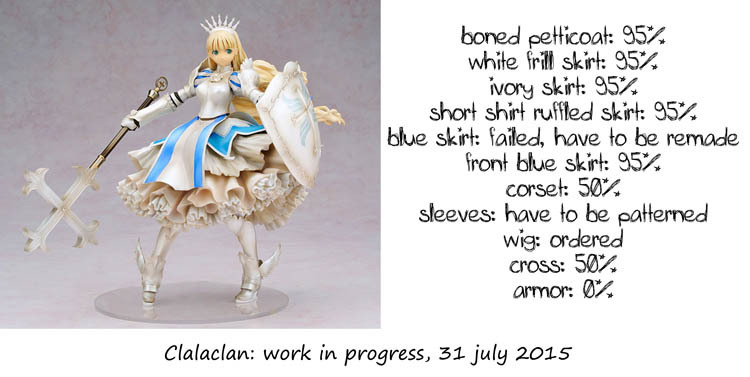 Here is the WIP summary!